Most companies are facing the challenge of digital transformation. AgilePoint Cloud is future-proof, low-code to help you build data-driven applications and automated processes to quickly and easily implement your digital transformation plan. 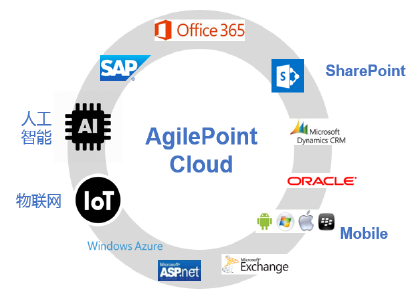 AgilePoint Cloud is an intelligent cloud business process platform based on Microsoft Azure built by Medalsoft Technology and AgilePoint. It helps Office365 Chinese users realize digital transformation of enterprises and migrate from traditional applications such as OA, Lotus Notes and BPMS to Microsoft Azure. It also highly integrates with external resources and services such as artificial intelligence, machine learning, and the Internet of Things. Low-code and drag-and-drop visual design mode. 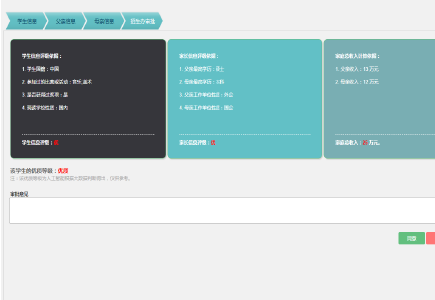 Support HTML5, eForm Builder, 15+ design mode and make process design simple and easy to operate. Provide more than 60 form controls, support more than 10 data sources, and forms can be embedded in Salesforce, SharePoint, NetSuite, WordPress, ASP.NET and third-party controls, in addition, provide multi-language and multi-theme selection, support for online preview, verification and more features. Provide ultra-practical, free applications and templates for the best practices in more than 50 industry sectors, help companies avoid rebuilding applications, standardize and systematize applications consequently to significantly reduce business costs. AgilePoint Cloud supports up to dozens of systems and cloud service integrations to help organizations work together and improve the user experience. AgilePoint Cloud has integrated with Azure AI cognitive services, machine learning and other services, and further integrated IoT to provide enterprises with intelligent business applications and reduce enterprise costs. AgilePoint Cloud is a one-time development and adaptive multi-platform hybrid deployment that helps organizations avoid re-developing the same application multiple times so as to reduce time and labor costs. Not only the traditional approval process, but also a transformation platform of intelligent digitalization for external integration, especially such as AI, ML, LoT. Support for up to a dozen system and cloud service integrations, support for hybrid cloud deployments such as Office 365/Azure. Support international laws like information security compliance, personal privacy protection, such as GDPR and the Cyber Security Law. A low-code development platform for the average user, users do not need any database experience. Solve the problems that there are lots of internal and external systems in the group, it is difficult to integrate. 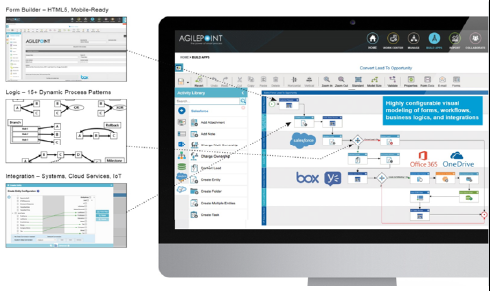 AgilePoint Cloud supports up to dozens of systems to integrate with cloud service. 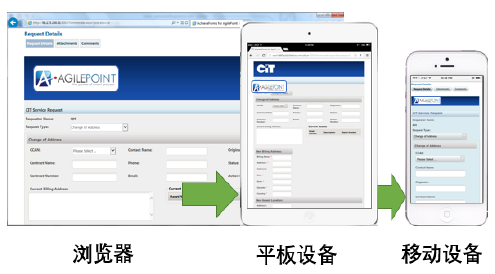 it can integrate all kinds of enterprise online and offline systems. For example, it can integrate Office 365 to help enterprises migrate offline business to the cloud and improve user proximity to the operating platform. Solve the problems that the development of process application is slow, the maintenance is difficult and the cost is high. AgilePoint Cloud provides drag-and-drop visual low-code design tools, multiple data sources, and more than 50 industry-leading best-practice ultra-practical applications and templates to help companies avoid rebuilding applications, standardize and systematize applications consequently to significantly reduce business costs. AgilePoint Cloud process application can adapt to multi-platform and multi-device in one design. Thereby, it avoids re-developing of enterprises so as to save time and labor costs. Integrate Azure AI/IoT services, establish an industry intelligent business office system such as advertising smart delivery, etc., save enterprise costs, improve enterprise application value and help enterprises better adapt to the changing needs of the enterprise in the future.